When the Beavers take on the visiting Huskies at Reser Stadium this Saturday, PacificSource Healthy Life will be challenging fans to upgrade their football tailgate spread by incorporating more nutritious options into their menu at the third annual PacificSource Healthy Tailgate event. To do that, PacificSource Healthy Life has teamed up with OSU’s Moore Family Center for Whole Grain Foods, Nutrition and Preventive Health, which has offered the GridIron Chef contest three years running. Together with other partners, including OSU Catering, University Housing and Dining Services, OSU Healthy Campus Initiatives and Bob’s Red Mill, PacificSource will prepare and offer free samples of the winning GridIron Chef recipe contest to OSU tailgaters on game day. 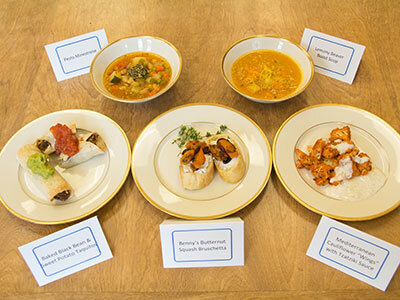 On Nov. 10, a tasting panel that included well-known Corvallis food writer Jan Roberts-Dominguez sampled the recipes of the five finalists. The winning recipe will be announced on Nov. 21. Prior to Saturday’s 3 p.m. kickoff, PacificSource expects to distribute more than 1,200 samples of the winning recipe to tailgaters, students and other fans, as well as 1,000 samples of Bob’s Red Mill granola. Samples of the winning recipe will be prepared by chefs from OSU’s University Housing and Dining Services and served from the PacificSource Healthy Life vehicle, which will be located at Reser Plaza. Tastes of all five GridIron Chef finalists’ dishes will be available for sampling following the Beaver Bowl 5K, a football-themed fun run in Corvallis, on Saturday from 10 a.m.-noon, when the public can cast their vote for their favorite. Recipes for each of the GridIron Chef finalists from all three years of the competition, as well as other healthy dishes, can be found on the Moore Family Center website.